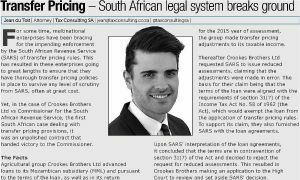 In Crookes Brothers Limited v CSARS, the first South African case dealing with transfer pricing adjustments, it was an unpolished contract that handed first blood to the Commissioner. 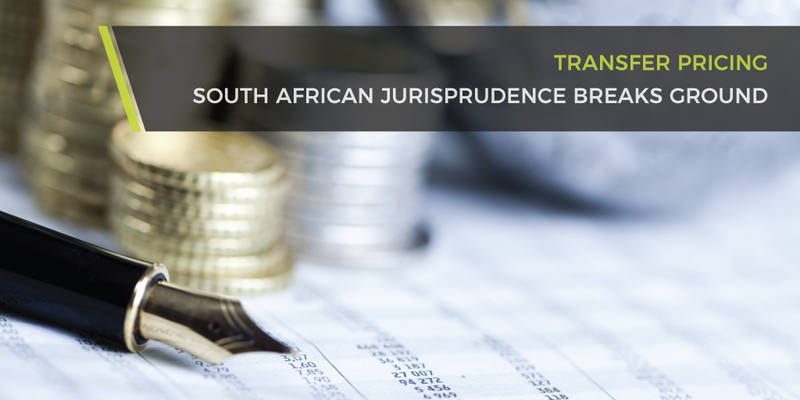 In addition to marking a watershed moment from a South African transfer pricing perspective, this case serves a stern reminder of the importance of diligent contract drafting. The taxpayer is a South African company that advanced loans to its Mozambican subsidiary (“MML”). In its return for the 2015 year of assessment and pursuant to the terms of the loan, the taxpayer made transfer pricing adjustments to its taxable income. Shortly after, the taxpayer requested SARS to issue reduced assessments, claiming that the adjustments were made in error. The basis for the taxpayer’s claim was that the terms of the loan are aligned with the requirements of section 31(7) of the Income Tax Act No. 58 of 1962 (“the Act”), which would exempt the loan from the application of transfer pricing rules. To support its claim, the taxpayer furnished SARS with the loan agreements. Upon SARS’ interpretation of the loan agreements, it concluded that the terms are contrary to section 31(7) of the Act and decided to reject the request for reduced assessments. The taxpayer made application to the High Court to review and set aside SARS’ decision. The author of the contract, perhaps inadvertently, inserted a clause in the loan agreement that accelerated the debt in the event of bankruptcy, liquidation, business rescue or judgment against MML. The inclusion of this clause foiled the application of the exemption, the taxpayer’s application was dismissed with costs and the transfer pricing adjustments had to endure. The court gave effect to the wording of the agreements, irrespective of what the parties may have intended and, ultimately, the taxpayer paid a heavy price for what was a poorly drafted agreement. Multinational enterprises have been bracing for the ostensible impending enforcement by SARS of transfer pricing rules for some time now. These enterprises go to great lengths to ensure that they have scrupulous transfer pricing policies in place that will survive any level of scrutiny from SARS, often at great cost. This case shows that these efforts will be in vain if you have a weak underbelly. It illustrates that robust, conscientiously drafted agreements outrank opulent transfer pricing policies. If the underlying agreements that orchestrate the dealings between connected entities are not up to spec, such entities stand to be snared by the transfer pricing provisions.